Figures show most of the disqualified drivers haven’t given back their licences. SINCE OCTOBER 2013, more than 9,600 people have been disqualified from driving in Irish courts. Some 8,137 did not surrender their licences, according to the Road Safety Authority. Independent TD Tommy Broughan has been attempting to find out how many of these drivers were prosecuted for failing to hand back their licences but so far, says he has received “no concrete answers” from Minister for Justice Frances Fitzgerald. He believes many of these potentially dangerous drivers may still be driving on Irish roads. “The whole intention of these laws is to encourage people to drive safely and we need to bring it home to the rest of the millions of drivers that it is critical not to be disqualified,” he told TheJournal.ie. The Dublin TD is concerned that a lack of enforcement in this area could mean drivers do not even see disqualification after 12 penalty points as a deterrent for careless driving. In her response on Tuesday to a question from Broughan, Minister Fitzgerald did said there is a “range of data” recorded concerning people who are detected driving without a licence. This includes “the number of fixed charge notices issued in respect of persons detected for the offence of driving without a driving licence; the number of prosecutions for failure to surrender a driving licence for endorsement; and the failure of a disqualified driver to submit a driving licence contrary to relevant road traffic legislation”. However she did not reveal numbers prosecuted for failing to give back their licence. A spokesperson for the Minister told TheJournal.ie that she has sought this information from gardaí. Why are there no answers? Surely, for the safety of all road users, this is necessary information to record and keep track of. The Oireachtas is entitled to concrete answers. The problem, according to the TD, lies in the current system which is covered both by the Road Safety Authority and gardaí. 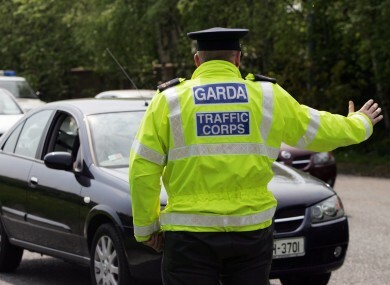 The RSA has a manual procedure for notifying gardaí about cases where a person has not surrendered their licence. Sometimes these things fall down between the two stools. Transport Minister Paschal Donohoe has said recently said discussions are ongoing about putting in place an electronic system of notification which would help speed up the process for gardaí. Email “Thousands of Irish people banned from driving - but they could still be on the roads”. Feedback on “Thousands of Irish people banned from driving - but they could still be on the roads”.